Earnings HQ: FBN’s Cheryl Casone breaks down Goldman Sachs’ fourth-quarter earnings report. 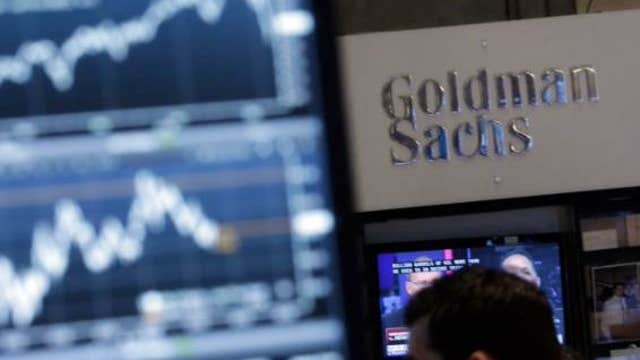 Goldman Sachs Group Inc (NYSE:GS) reported a 7 percent drop in fourth-quarter profit as an unexpected bout of market volatility in December hit its bond-trading business. Fixed-income trading, long a strength for the bank, came under pressure last year due to stricter capital rules in the aftermath of the financial crisis and relatively calm markets that discouraged clients from trading. Just when it seemed things were picking up, a burst of volatility last month caused by factors ranging from plunging oil prices to weak global economic data, spooked investors again. Goldman said revenue from trading fixed-income securities, currencies and commodities (FICC) fell 19 percent in the quarter, excluding gains from repayment of debt and the sale of most of its European insurance business in 2013. Overall, FICC revenue fell 29 percent to $1.22 billion in the quarter, mainly due to a weaker performance in mortgages and credit products such as corporate bonds. This was partially offset by higher revenue from trading commodities and currencies. The business, which once contributed about 40 percent of Goldman&apos;s revenue, has been on a decline since 2009 as new rules also discourage banks from trading on their own account and it accounted for only about 16 percent of revenue in the quarter. JPMorgan Chase & Co&apos;s FICC revenue fell 14 percent in the quarter, Citigroup Inc&apos;s 16 percent and Bank of America Corp&apos;s 30 percent. Goldman&apos;s shares were down 1.5 percent at $175.82 in early trading on the New York Stock Exchange. Investment banking revenue fell 16 percent to $1.44 billion due to lower revenue from both equity and debt underwriting. Overall net income fell to $2.17 billion, or $4.38 per share, in the fourth quarter from $2.33 billion, or 4.60 per share, a year earlier. Analysts had expected earnings of $4.32 per share, according to Thomson Reuters I/B/E/S. Of the big U.S. banks reporting this week, only Wells Fargo & Co managed a rise in profit, largely because it is more focused on retail and commercial banking. Revenue in Goldman&apos;s investing and lending division, which puts the bank&apos;s own capital to work by investing in companies and lending to them, fell 26 percent to $1.53 billion. Goldman used 36.8 percent of its revenue for compensation last year, slightly down from 2013. Average annual compensation per employee fell to $373,265 from $376,507 in 2013 as the number of employees rose slightly.